PRAGUE -- Skoda said it was well on its way to meeting its goal of producing at least 1.5 million cars a year by 2018, helped by new models and rising demand in India, China and Russia. The Volkswagen Group brand expects to continue a trend of robust sales seen in the first two months of the year, Skoda CEO Winfried Vahland said. Skoda sold 147,500 units in January and February, a 12 percent increase over the same period in 2011. "March will continue this trend. We expect a good first quarter for 2012," Vahland told a news conference in Prague on Wednesday. Vahland added: "The environment for our business has recently cooled slightly, especially in some markets in Europe.The overall picture remains positive and we're cautiously optimistic regarding the years ahead." Skoda expects to continue to grow in all its regions, he said. The Czech brand's global market share grew to more than 1.4 percent last year as its car sales increased 15 percent to 879,200. In Russia, Skoda's fastest growing European market, the carmaker's 2011 sales rose 63 percent to 74,100. In China, which continues to be the company's largest market, sales advanced 22 percent to 220,100 units. India, where sales rose almost 50 percent is a "growth market par excellence," Skoda said. Skoda said its 2011 operating profit rose 66 percent to 743 million euros ($985 million), up from 447 million euros the year before. 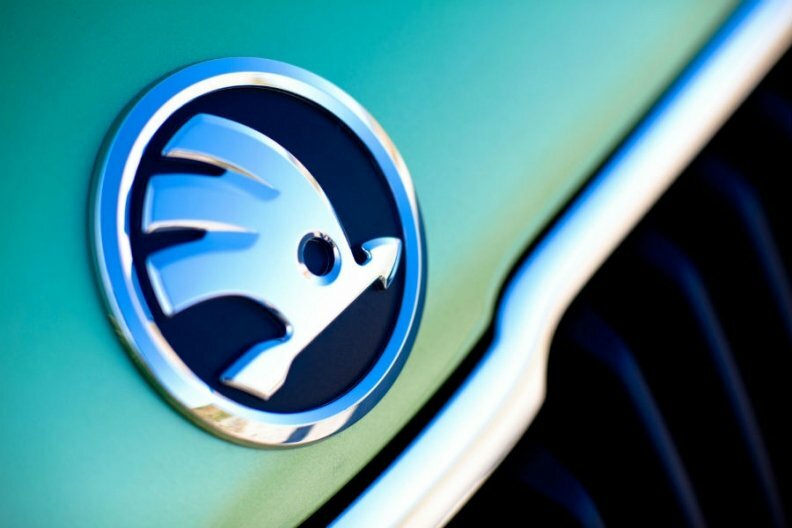 Skoda's board is likely to propose a dividend of about 7.1 billion koruna ($382 million) from 2011 profit, the company said. Skoda aims to boost production to 1 million cars by 2014 at the latest after making 902,000 vehicles in 2011. The brand's best-seller in 2011 was the Octavia compact car, with sales of 390,000, a rise of 10.7 percent. The Fabia subcompact was the second most popular model, with sales up 16.5 percent to 267,000. Skoda sold more than 100,000 units of its Superb flagship sedan for the first time last year. Superb sales rose by 18.1 percent to almost 117,000, of which 48,000 were sold in China alone, the carmaker said. The brand is currently introducing its Citigo minicar in Europe and last year it started sales of the Skoda Rapid model in India. It will present a European version of the Rapid this year. VW bought Skoda in 1989 shortly after the fall of communism.